It's hard to believe that the Clementine Quilt Along, hosted by Fat Quarter Shop, is coming to an end. Each month has been an adventure leading toward my beautiful finished quilt! I'm absolutely thrilled with how this quilt turned out. Even better than I had hoped. Choosing solid fabrics from a computerized swatch is pretty risky, but I'm so happy with how well these colors all play together. And I like how the soft sea foam green pulls all of the fabrics together. I'm so happy that this quilt along benefits St. Jude Children's Research Hospital, which helps advance cures for childhood disease. I also love that Moda Fabrics will match up to $20,000 of our donations. Click HERE to see how you can help! 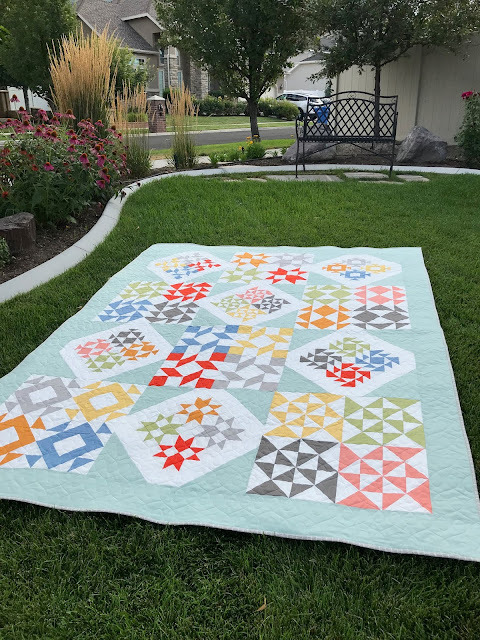 I couldn't be happier with the modern loops quilting done by Utah Valley Quilting. Charlie thinks it really makes my quilt shine. And for those of you who have cats, you know it's good when you get their approval! 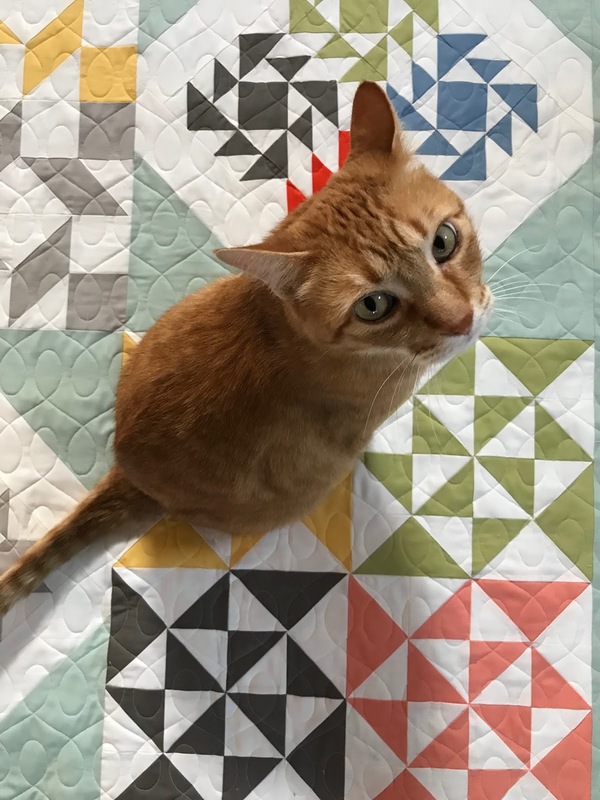 Have you been participating in the Clementine Quilt Along? If so, leave a comment below. 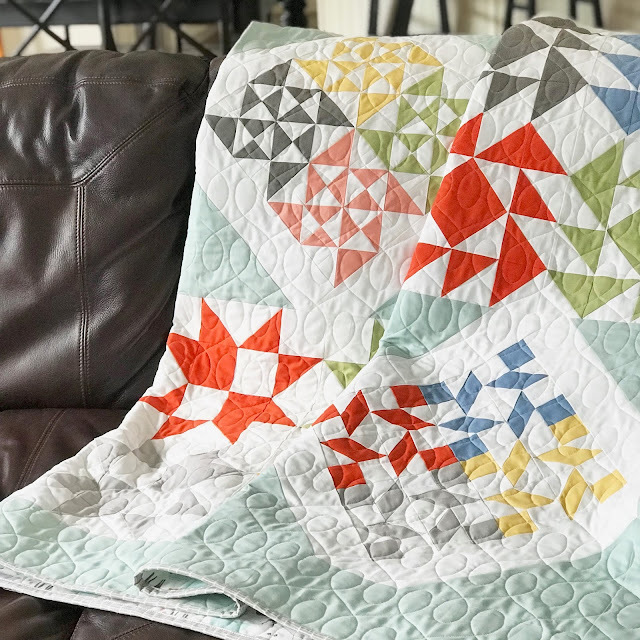 I'd love to check out your quilt on your blog or Instagram. I have been waiting to see your finish with these solids. The background fabric choice is perfect. What did you use for your binding and backing? Makes me wish I would have picked something other than the Mama's Cottage.